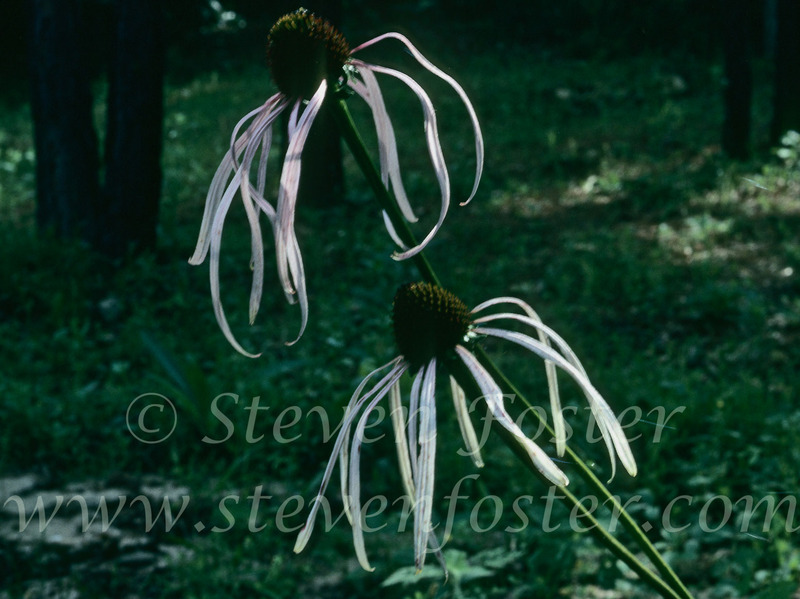 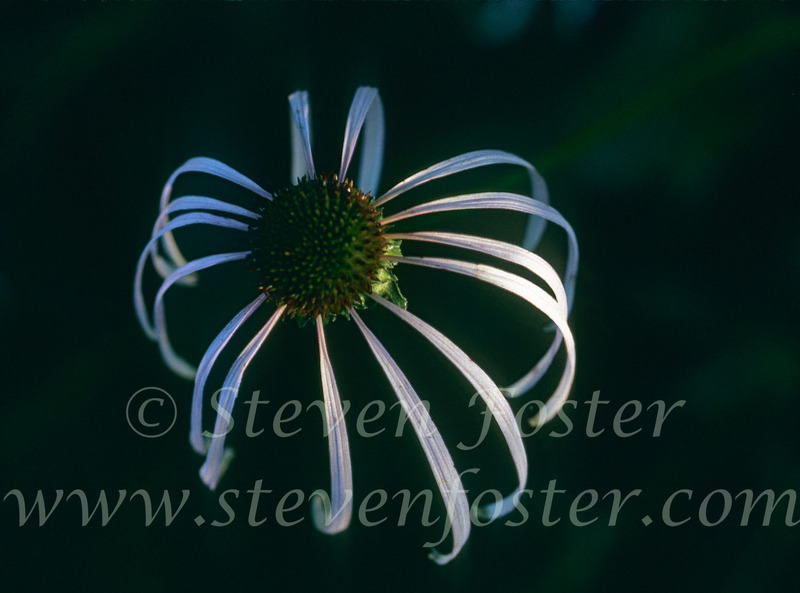 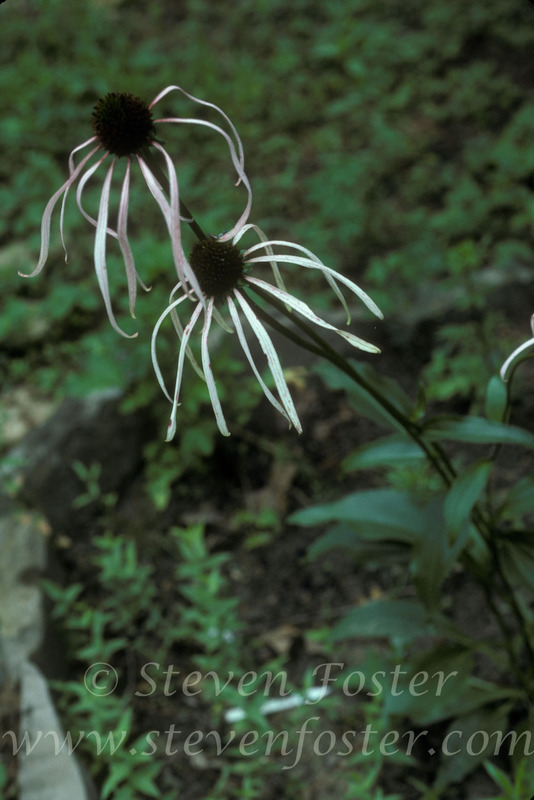 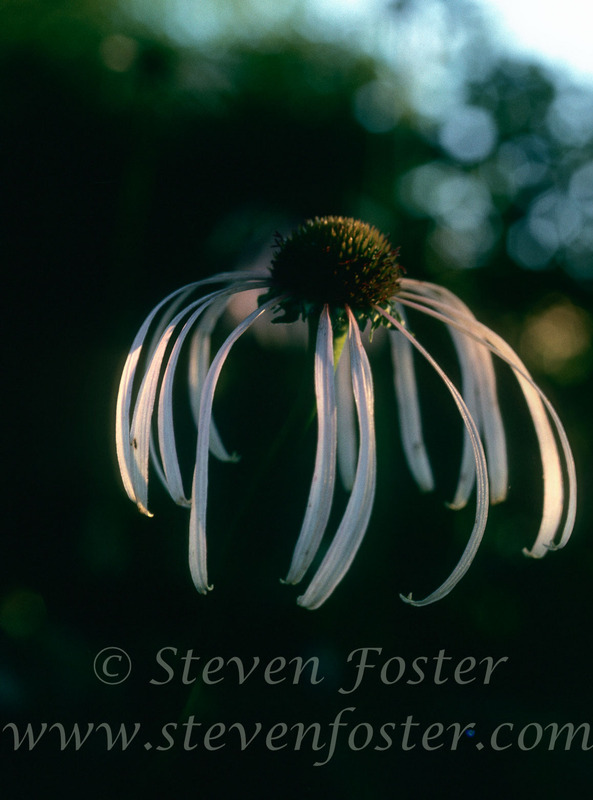 Echinacea leavigata, Smooth-leaved Coneflower is very similar to Echinacea purpurea, but is nearly glabrous, has narrower leaves, is rarely branched, and has a bifid (forked) tap root. 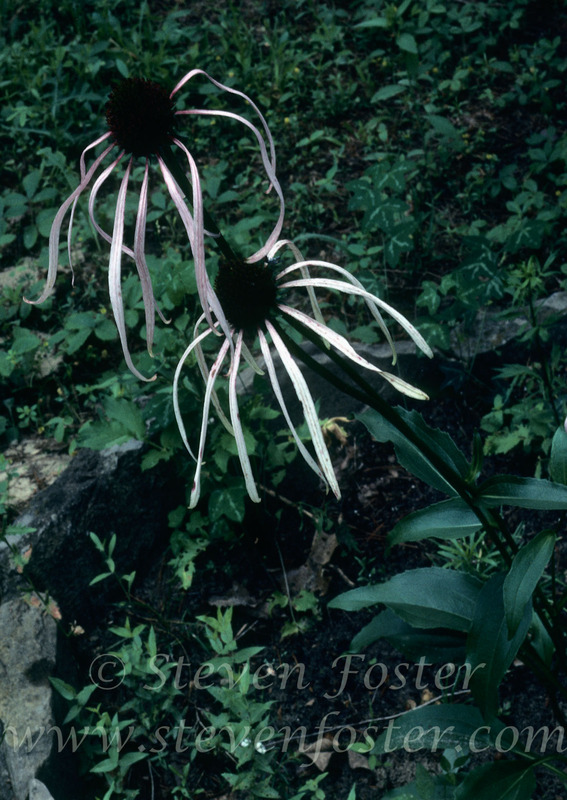 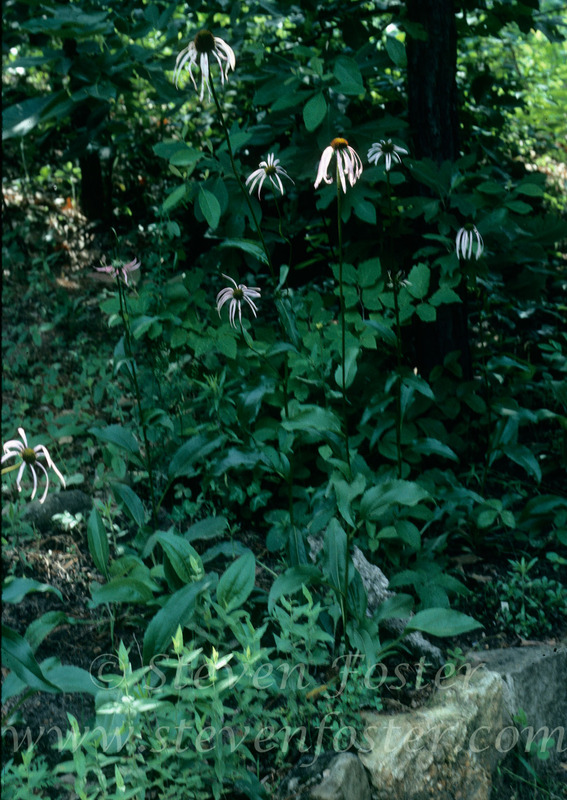 The ray flowers are somewhat longer and narrower than those of Echinacea purpurea. 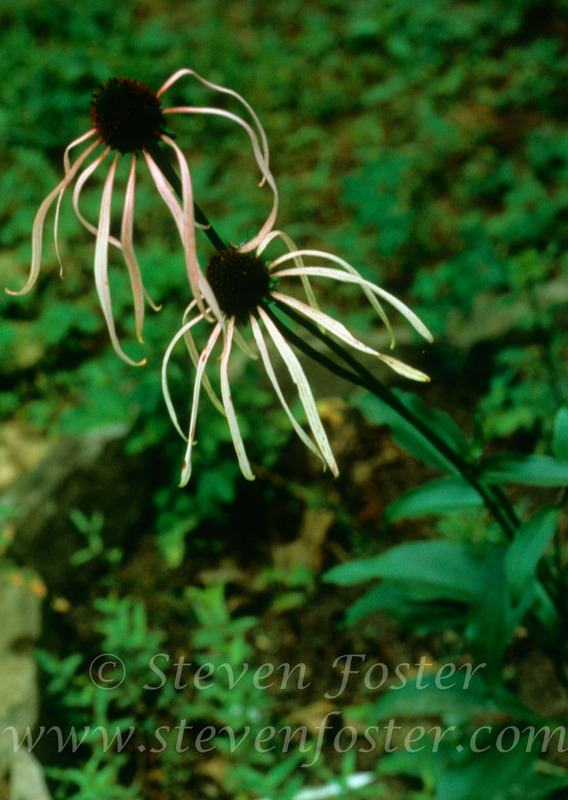 It is a Federally-listed endangered species known from about two dozen populations in Appalachia. 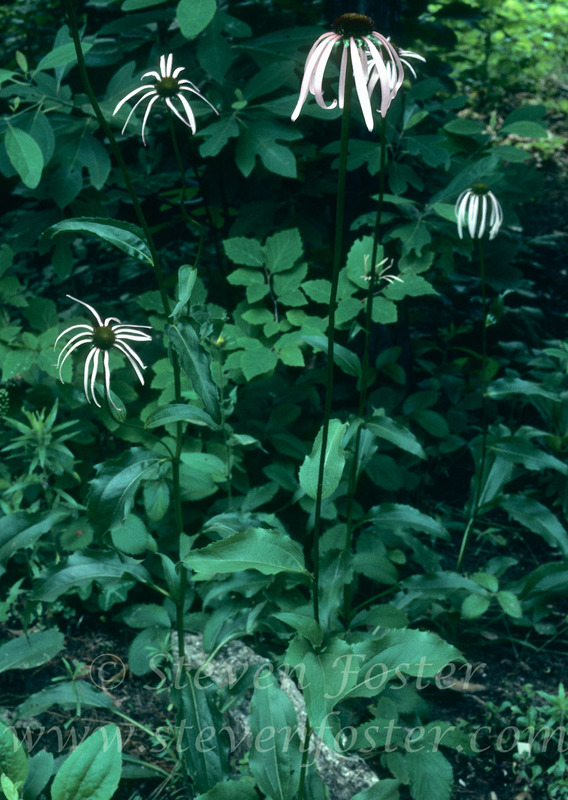 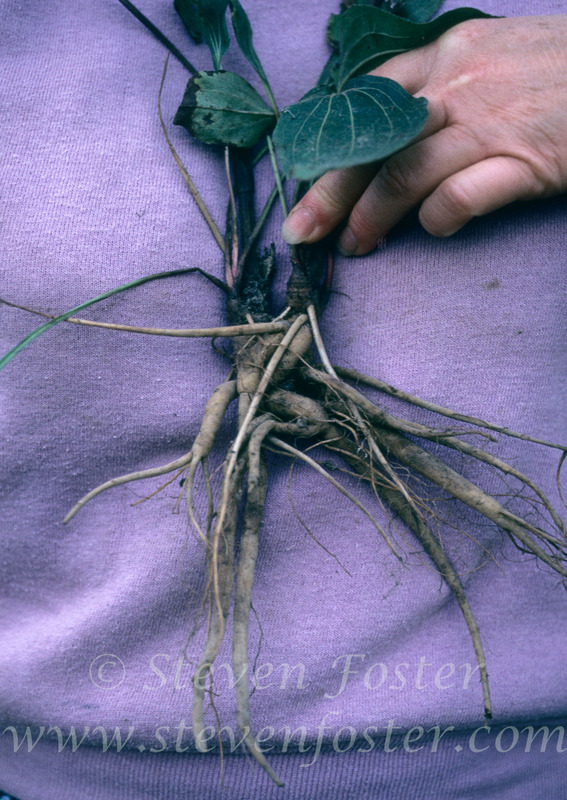 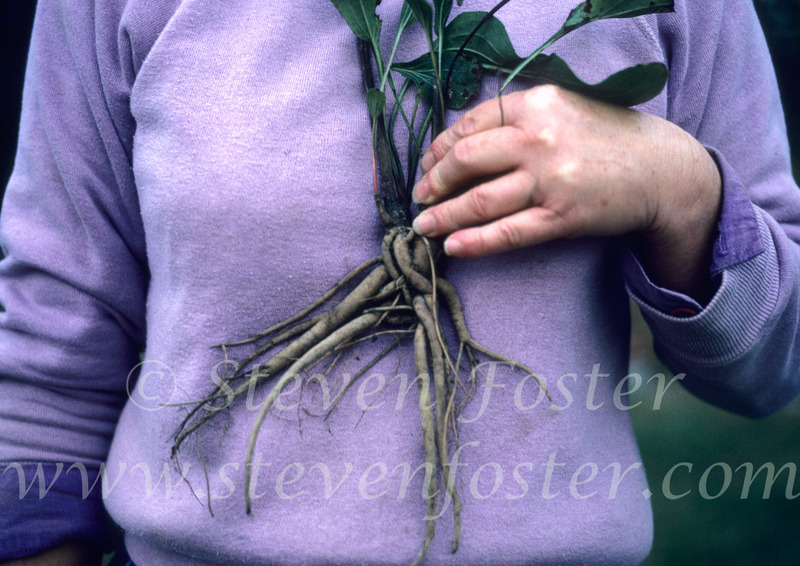 The specimens depicted here are propagated from seed and cultivated.